He is sought after for his wisdom, guidance, and political endorsement. As the former Commander of U.S. European Command and Supreme Allied Commander Europe, he led all military operations for the North Atlantic Treaty Organization and later, as National Security Advisor, he brought clear vision and steady leadership to America’s mission in Iraq, the war in Afghanistan, and the country’s interests around the world. A man of letters, a man of honor. Jones excelled at the Georgetown University School of Foreign Service and was commissioned into the Marine Corps in January 1967. He served in Vietnam, rising from platoon and company commander to first lieutenant. On returning to the U.S., he pursued a career in the Marines, attending the Amphibious Warfare School in 1973 and the National War College in 1985, and serving as Marine Corps liaison officer to the U.S. Senate. He was also commanding officer of the 24th Marine Expeditionary Unit in Northern Iraq and Turkey on Operation Provide Comfort; chief of staff, Joint Task Force Provide Promise, for operations in Bosnia-Herzegovina and Macedonia; and commanding general, 2nd Marine Division, Marine Forces Atlantic. He became the 32nd commandant of the United States Marine Corps in July 1999. Upon retirement in February 2007, the revered combat veteran became the President and CEO of the U.S. Chamber of Commerce’s Institute for 21st Century Energy and later, the National Security Advisor for President Obama. During his NATO assignment from 2003-2006, he advocated energy security and the defense of critical infrastructures as a core part of NATO’s future missions. With the Chamber, Jones worked to unite energy consumers and producers for a common goal—to increase the variety of the U.S. energy supply and associated infrastructures, to advance international cooperation on energy issues, to protect national energy security, and to promote better understanding of changes to the global climate and its effects on the environment. 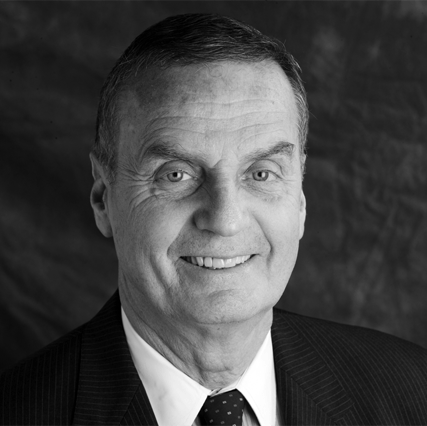 On March 20, 2012, General Jones was introduced as co-chairman of the Call of Duty Endowment. He brings over 40 years of experience in military and veterans affairs to the Call of Duty Endowment and will help lead its ongoing efforts to address the issue of veterans’ unemployment in the United States. "Veterans' employment is an issue that I am very passionate about and I am energized by the prospect of affecting change in the lives of our country's heroes by expanding the endowment’s efforts across the nation."